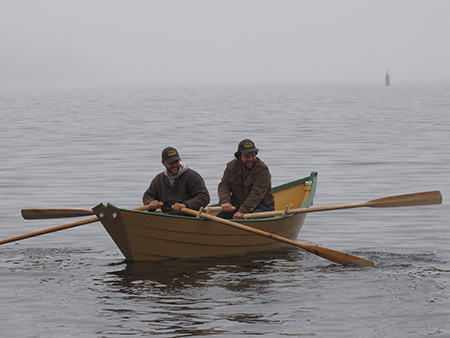 At 14 feet on the bottom, this boat falls directly between the two dory sizes most commonly used during the years of the Grand Banks schooner fishery. For being neither a true single-fisherman dory, nor a true two-man or double dory, the boat gained its rather dubious-sounding moniker; then again, we’ve had clients buy this size because of the name! It’s also a nice size if you are looking to add a motor well.